Technology advances quickly, and our smartphones include more sensors each day. These sensors have many applications, although some of the less known are related to health. Many of them, the best known, are related to fitness, an increasingly important world that has been experiencing a significant boom thanks to new wearable devices like the Talkband B1 or the Gear Fit. However, there are other lesser-known applications for our smartphones, but they’re not for the general public. These apps help us to monitor any chronic disease, to detect possible outbreaks and are responsible for collecting information to help our doctors with the treatment’s evaluation. Let’s see here a couple of these applications that have become essential to the lives of many patients. 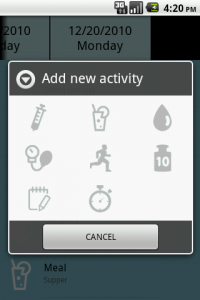 This app is designed to help diabetics in their daily lives. It is a very flexible application that adapts to the characteristics of each patient. After entering a number of parameters that define the characteristics of each person who suffers diabetes, the application helps to plan the daily activities taking into account the needs of each individual. You can set alarms and reminders, and it takes into account all types of medication: pills, insulin, insulin pump, diet and any combination of them. It is compatible with diabetes type I and II, LADA, gestational, and secondary. Data is stored and can be viewed in graphical form and send directly to the doctor responsible. It is available for free on the Google Play. This application uses the accelerometer, light sensor and the phone’s microphone to monitor sleep patterns and daily rhythms. 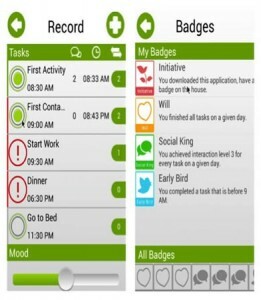 It is intended for patients with bipolar disorder, who can use it to check the level of activity in their daily lives. In the bipolar disorder is very important to control the mood to avoid crises that may lead to a phase of depression or mania. This app helps to detect any changes in the daily behavior that may be indicative of the beginning of a crisis. MoodRhytm also records data and sends it to the doctor for monitoring, providing useful information about the daily routines.